This is one of the most right wing tory seats in the UK, or at least used to be. The tory strongholds in Tettenhall are the areas that favour UKIP most eg many of the most dependable tory voters are likely to favour UKIP over the Conservatives. The demographic trend is against the Conservatives in this seat. I think the tories will get destroyed here. A UKIP vote of 17% here in a general election? If that happens then the Tories will be down to 150 seats nationally, with Miliband getting a 1997 style landslide. I would say that’s very very unlikely, although I agree Labour are likely to win this seat back. The majority will be a lot smaller though. Personally I think UKIP’s potential will be squeezed down in marginal seats like this one because of the intense campaign by the main parties. They’ll get higher vote shares in safe seats where the main parties are not focusing their campaigns. I agree with both of the above. The Tories look like toast to me here, but I wouldn’t expect a majority or a result like that envisaged above. Apparently Nick Budgen was known as the meanest MP in the house. According to John Major he bought all his suits from charity shops and always had big holes in his socks. Nick Budgen’s meanness was legendary, although compared to today’s backbench right wingers, he always struck me as undeserving of his repuation as an out-and-out reactionary. You could call it “meanness” but that has a rather negative ring to it. Alternatives might be “frugal” or “thrifty” which Nick Budgeon would have probably preferred to be used. Well that depends on the context. Admittedly we don’t know whether the frugality extended to never buying other people drinks, etc, in which case mean is probably a fair description. It’s also true that Major understandably hated Budgen so is hardly a fair judge. Like Alan Clark, Budgen was basically a Powellite (inevitably, given that he was selected in Powell’s old seat). He was very right wing on immigration, Europe and foreign affairs, but a moderate on social issues like capital punishment and homosexuality, and somewhat wet on economic affairs as well. I believe Budgen was a rebel both on the poll tax and against the Heseltine pit closures. I don’t think that’s entirely true. 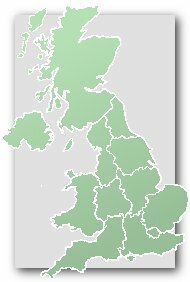 Some right wing Tories in marginal northern seats were poll tax rebels – Elizabeth Peacock being a good example. There were numerous right wing Tory MPs who voted for the poll tax despite being opposed to it, as they were either members of the government or didn’t want to vote against a 3-line whip. Nigel Lawson of course being the most famous of these. “We” do know actually. It didn’t. In fact Nick Budgen, while he was supportive of much of what Powell had said, was a very strong opponent of the BNP, appearing on a TV programme in which he did not stint in his criticism of them. He also didn’t agree with Powell on repatriation : Powell, while never supporting compulsory repatriation, called for “massive, albeit voluntary repatriation”, but Budgen on this programme said “if it were massive, I don’t see how it could be voluntary”. He clearly didn’t go quite as far as Powell though his views were clearly very right-wing. One of the Tories’ most ‘left-wing’ MPs in the 80s and 90s was probably the memorable Jerry Hayes. In contrast, one of the Tories’ few of what could be called definitively far-right MPs was David Evans. The late Eric Forth was another maverick right-winger. He reminded me of the historian Norman Stone- a fellow mischievous-eyed Glaswegian. I thought the the award for the most dripping wet Tory MP of the 92-97 parliament would have to go to the late John Gorst in Hendon North, especially considering how detached from the party he was towards the end of his time as an MP. He was even reported to have considered voting against the government on the Scott report. If he had he would have forced Major into an early election. She was a prominent member of the right-wing 92 Group. i can think of many tories in that parliament to the left of gorst – hugh dyke, julian critchley, temple-morris, bill powell, bob squire, cyril townsend. I think you will find that there are a lot of stay at home tories in this seat of quite a right wing variety. Generally in this seat due to demographic change the number of tories is less than it used to be and the number of labour voters has increased. Whilst these conservatives were always of a right wing almost UKIP variety the conservative party has moved away from them and so they turn out less – though there are less of them to turn out. Remember that in the west midlands there was a substantial powell swing post 1968 and then a substantial swing to labour in 1974 after powell said to vote labour (boundary changes here which brought Tettenhall in may have masked that effect). The west midlands is generally more little england and right wing than the rest of the country. Look at the number of maastricht rebels from this area – this part of the west midlands has more than its fair share. Gill, Shepherd and Budgen of the whipless rebels and then numerous others who didnt lose the whip. I think Hugh Dykes was the most extreme left winger on the Tory benches back then. Jerry Hayes was pretty bad too. David Knox was another. He and Dykes were also fairly obnoxious on a personal level too. There was a very left-wing person on a Five Live phone-in a few weeks ago. It turned out to be Jerry Hayes. lol. I met Jerry Hayes at some event in Central Office around 1992.
but this is a difficult seat for C to hold. Usually a low swing seat though compared to the national average – apart from a big Labour swing in 1992. Why does not buying clothes for yourself translate into mean towards others btw? It could mean that, to coin a phrase, but it strikes me as unlikely. I think if I’d have been a Tory MP back then I probably would have got on with some if the above mentioned people in the Tory reform group. Were these people just on economic and social issues or were they on the Europhile wing if the party as well. But then again I’ve always been unsure as to where I see myself in the internal left/right spectrum within the Tory party. If anything I’m something of a Boris, with views from different parts of the spectrum on different issues. Although I’d probably put myself more towards the left of the party, my views on abortion for example are certainly not what you’d call socially liberal. The semi house trained Poll Tax was a non runner and should have been dropped. because the hard edged accountability had some attractiions and may have forced more efficient delivery of local services. I’ve always thought the main problem with the poll tax was that it didn’t have any sort of calling mechanism. If it had then the government could have stopped some of the loony left councils from using it as an excuse to commit blue murder in terms of tax and spend policies. I still think the main reason why it failed was because too many people fell for all the Labour rhetoric that it was those evil Tories who were responsible for unacceptably high bills when in many cases it was the fault if Labour councils. And unfortunately they managed to get away with it. Yes, the political atmosphere by 1990 made that difficult to counter. There had been a fair bit of inflation since the first estimates came out in 1987. Then we couldn’t collect it efficiently – partly because of Labour councils dragging their feet, but I don’t believe it is an efficient tax to collect anyway. A flat tax can’t be justified unless it’s very small – the principle of a train ticket or utility bill. I think I might have gone for a graded system because with the benefit of after the event I think it would have retained some of the hard edged accountability that Council Tax has gradually lost and held bills down, but I’m not sure. Joe, if you read back, Pete has confirmed that Budgen was notoriously mean in other ways. Surely Ivor Stanbrook was on the Right. He was a straightforward Thatcher loyalist. Re Jerry Hayes, he is featured regularly on Five Live phone-ins, but while some of his views remain very centrist he still remains supportive of the bosses rather than labour. He certainly is recognisably on the old-fashioned Left of the Tory Party. When I joined the Labour Party, I always saw Nicholas Scott as just about the most dripping-wet unreconstructed Tory left-winger. He was just about the only Tory who expressed misgivings about council house sales. However, Mrs Thatcher did bring him into government which of course neutralised any rebellious tendencies of his. Others such as Richard Needham & Charles Morrison (who was on good personal terms with her) deserve a mention in this regard, no doubt people about whom Pete has utter contempt. Locally to me Barney Hayhoe was also pretty centrist, like his neighbour (at that time) Sir George Young, whom Tim has omitted to mention alongside Sir Alan Haslehurst. I think the Tories will probably hold this. (Bearing in mind the likely ‘swing-back’ to the Conservatives between now and the real election in 2015). They certainly won’t lose by the 8,000 vote majority suggested by PS. Oh, and good on the Tories for selecting Paul Uppal to represent Powell’s old seat. I think it’s totally inaccurate to describe Sranbrook as a loyal Thatcherite. He was as a traditionalist certainly, and many of the positions he took were not altogether predictable. In later years he mellowed his views on immigration and nationality and in 1987 he took the chair of the newly created all-party anti-apartheid group, to counter the activities of the pro-South African committee led by his Conservative colleague John Carlisle, who was every bit the Thatcherite right winger. He was critical of Margaret Thatcher for appearing to condemn sanctions more than she condemned apartheid and refused to criticise the ANC for resorting to violence. He urged that sanctions should be strengthened, arguing that the South Africans had no intention of changing and that they could only be induced to do so by pressure, and backed their continuance in 1990. It was not the only issue where he was at odds with Thatcher. Stanbrook had supported entry into the EEC in 1971 and he remained a passionate European. He was critical of the use of the whips against Sir Anthony Meyer’s leadership challenge and in March 1990 proclaimed that Michael Heseltine was the best alternative to Thatcher: he had “dynamism, style and a softer image”. He backed Heseltine’s leadership challenge in November 1990 and continued to support him in the second ballot. As a result, he faced efforts to deselect him in Orpington and these probably played some part in his decision not to fight another election. I forgot about George Young. Didn’t he resign as a junior minister so he could lead the rebellion on the Tory backbenches against the abolition of the GLC? Joe, I agree that in principle it should be up to individual councils to set the level of local taxes, but in practice it isn’t always as simple as that. Like I’ve mentioned in my previous post, the Labour party should have taken some of the blame for how unpopular the poll tax. Many people would have still rested the blame at the Tories door for the excessively high bills, probably because they had little or no understanding of how the system of local government finance works. But after the poor results for the Tories in the 1990 London local elections they should have at least been able to see that they were being blamed for something they were not directly responsible for, and so should have intervened in the same way as they had done with rate capping in the early to mid 1980’s. And I also believed (as I still do) that as many non-essential local government services should be paid for at the point of use (libraries would be an obvious one) to entrench the principle that everyone should contribute towards local services. I have no idea what effect that would have had and if it would have effected the result of the 92 election, although I’m guessing the poll tax would have been a major issue still and it would have at least cost the Tories an overall majority. Not sure who I’d say is the most left wing tory MP in the current parliament. Probably Alan Haslehurst of one of the Cameronite A listers. I don’t agree with Robin. I can’t see the Tories holding this particular seat unless there is virtually zero national swing. I don’t think Alan Haselhurst is the most left-wing Tory. It could be Peter Bottomley: he didn’t used to be that left-wing in the 1980s but he seems to have moved in that direction recently. The major problem with the poll tax is that its central feature was incredibly hard to portray as equitable. There’s little enough support for a flat-rate tax, let alone a flat-rate charge. It wasn’t the level that was the problem – if it was the protests would have been seen under the rates system, and high rates from Labour councils would have disadvantaged the Tories, which demonstrably was not the case prior to rate-capping. It was the principle of the thing, and that it validated pre-existing negative perceptions of the Thatcher government. It was impossible to collect, because the information required wasn’t there and it was too easy to avoid by moving, even before mass campaigns of non-payment. It could perhaps have worked as what it was accused to be, an attempt to strip the poor from the electoral roll, but only by increasing the central government subsidy to local authorities and not caring about non-payment. Combined with an attempt to trim that subsidy, it was always going to end in disaster. Was John Horam on the left of the Conservative Party or was he in the centre somewhere politically considering he began with Labour, then the SDP before moving to the Tories. Conversely, Christopher Brocklebank-Fowler who was the other way round must surely have been one of the Tories’ most left-wing MPs in the 1970’s and early 80’s before he defected to the SDP and then the Lib Dems and then Labour in 1996- He took the journey which Horam did, only in reverse. Except Labour is usually somewhat to the right of the Lib Dems – although that is somewhat confused by things since 2010. Peter Bottomly is an interesting – he’s often said it’s not him that’s moved poltically since his entry into Parliament, but the Tory Party – a point I happen to agree with – but he’s not your conventional one nation Tory. I think, Tim, it depends whether there is a genuine change of mind. In the case of Alan Howarth, and Alan Amos, there undoubtedly was – they reached the conclusion that were wrong. Alan Amos is now a Labour councillor on Worcester City and Worcestershire County councils. Alan Howarth is a Labour peer. Barnaby, I read Pete’s post that he had some knowledge that the frugality did not extend to not buying other people’s drinks etc. Double negatives – so it means he did buy drinks. I think an MP should buy a decent suit though. I know some of the short-list types go into the Commons in flip flops. Re Peter Bottomley, he has tended to be rather more liberal in foreign affairs than domestically – he has in the past supported quite radical liberation movements, such as the Mojahideen Khalq in Iran and opposition movements in places like El Salvador. The Mojahideen have fought a long but sadly fruitless battle to restore some secularism & democracy to Iran. I think he did end up supporting Ken Clarke in 2005 after others were eliminated or had withdrawn. He has been rather more orthodox on domestic policy, but a staunch Thatcherite he is not & never has been. Joe, sorry if I misunderstood Pete’s post. I can however state quite categorically that Mr Budgen passed away without ever buying me a drink. When the debate on prisoners’ votes took place Peter Bottomley could be seen shaking his head sadly as virtually every Tory MP spoke against the idea. That’s when I realised how left-wing he had become in comparison to his colleagues. You’re quite right Pete. Sometimes however there are so many new posts on a thread that one doesn’t quite read certain bits of them properly, especially if one’s in a hurry. Good. Thought so – so we’ve nailed an allegation that an MP was mean towards other people – someone who also sadly can’t defend themself. Peter Bottomley was a staunch critic of a lot of the anti-union legislation passed in the 1980s and 1990s. On one occasion I believe he was the sole Tory MP to vote against a bill restraining union powers. This would have been after he left government, so during the Major administration.